Apple had a big year, but 2018 can be even bigger. 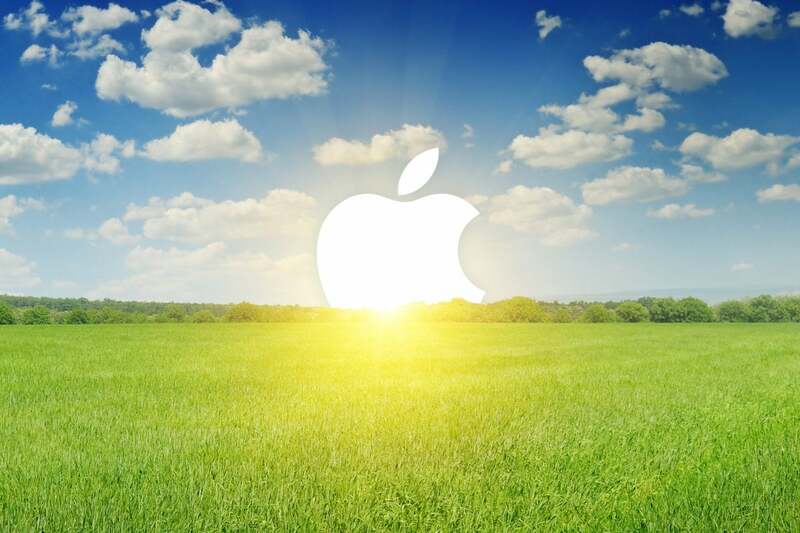 Here's what we expect from the most valuable company in the world. Apple released some killer products in 2017, and made some really big software screw-ups. Will the company continue its rapid pace of new product releases? Can it keep up the pace without sacrificing quality and security? What’s it going to do with its enormous pile of cash? Predicting the future of tech is notoriously hard, and doubly so with a company as famously secretive as Apple. Still, we have some idea of what to expect in 2018. Here are our own predictions and shameless wish list items for the coming year. It’s time for a new iPad. Apple dominates the premium tablet market, but it’s not going to keep things that way if it rests on its laurels. Sure, innovations like Apple Pencil are fantastic, but the iPad hasn’t seen a really big design refresh in a long time. The 10.5-inch iPad Pro is the best tablet Apple's ever built, but a design change is in order. The bezel-less iPhone X is the perfect breaking point from which to re-imagine the iPad, and according to rumors, a new design is finally on the way. We expect old-style iPad to continue to be sold, but at least one new iPad with slimmer bezels and no home button is probably on the horizon. 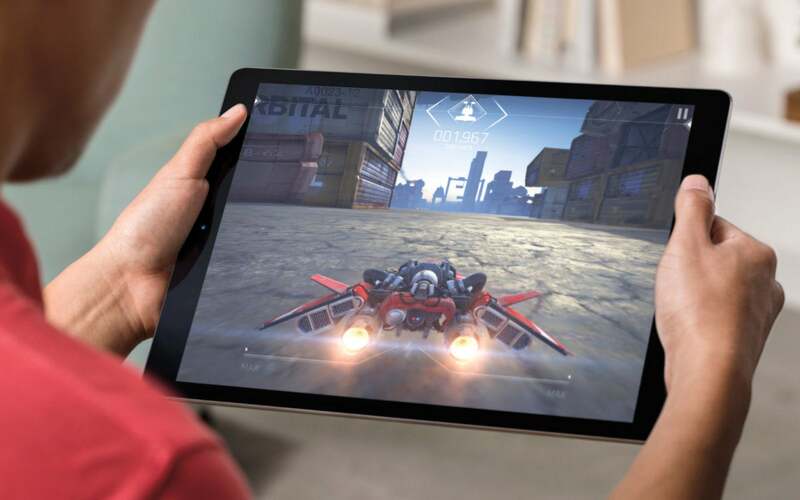 It’ll have an A11X or similar “big A11” processor, the best display ever in an iPad, and will probably be pitched as an augmented reality and AI powerhouse. iPads are often announced in the spring, but last year Apple took the lid off the new iPads during its WWDC keynote in June. In a way, that makes the most sense, as it gives a good opportunity to showcase them with upcoming iOS 12 features. Touch ID isn’t going to fully disappear this year, but it seems obvious that Apple’s a big believer in its TrueDepth camera system and Face ID. 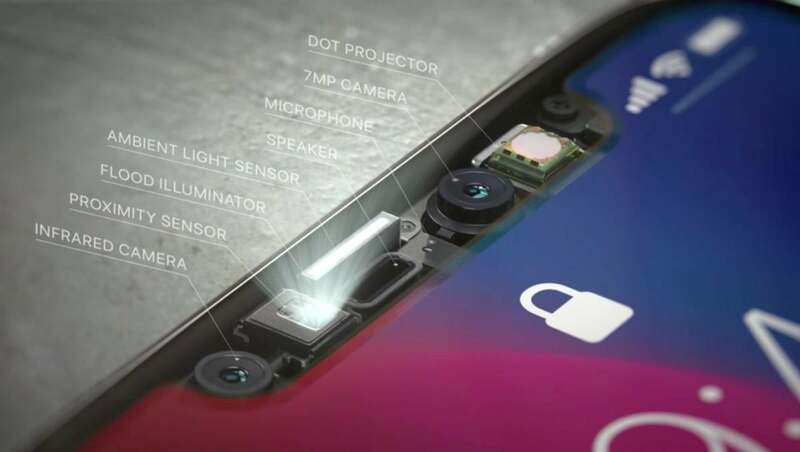 We might see better hardware in Apple’s camera-and-sensor array, but certainly, improved software will make Face ID faster and more secure. Expect TrueDepth and Face ID to proliferate throughout Apple's product line over the next couple years. It’ll also spread out to more products. Whatever comes after iPhone X will of course feature Face ID, and it’s a shoo-in for a new top-tier iPad model. But we’d love to see it on Macs, too. Microsoft’s Hello tech has made it clear that facial recognition has a place in laptops and desktops, and the FaceTime cameras in the entire Mac lineup are in desperate need of improvement. Swapping it out for the TrueDepth module as seen on iPhone X could not only give Macs some really useful capabilities (like locking the system automatically as soon as you step away and unlocking when you come back), but would also rocket the webcam quality to the front of the class. Kill two birds, Apple! 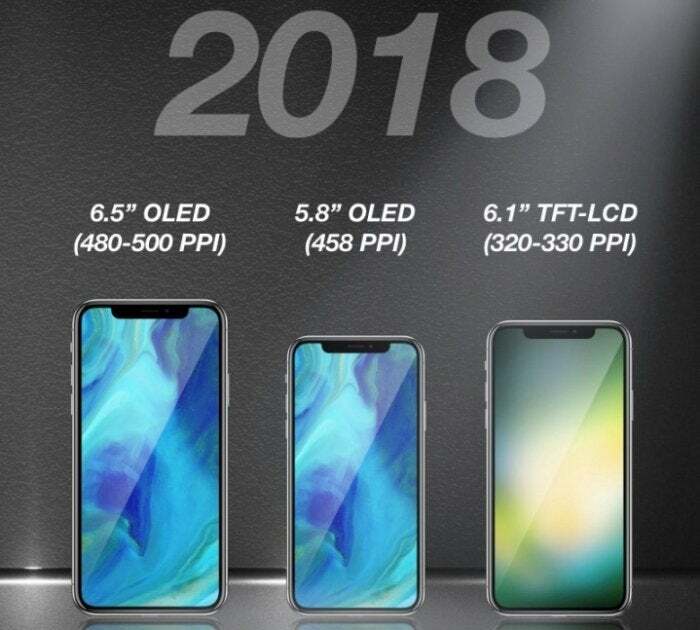 If the rumors are to be believed, the iPhone lineup for 2018 should be interesting indeed. We will see a follow-up to the iPhone X (what can they call it? Surely not iPhone XI? ), very similar in shape and size but with small refinements and an all-new, faster, better A12 system-on-chip. Apple's 2018 iPhone lineup could look something like this, though I doubt the LCD model will have bezels that small. It may be accompanied by a larger 6.5-inch version, virtually identical save for its larger size and higher-resolution display. If Plus-model iPhone are any indication, it’ll also have a larger battery. We hope, however, that Apple doesn’t keep some functions only for that larger model, as it keeps the dual camera module exclusive to Plus-sized iPhones. A third iPhone is also said to be in the works. It would carry a 6.1-inch display at a lower resolution, using and LCD instead of OLED, but still use the roughly 2:1 ratio of current iPhones with slim bezels and Face ID instead of Touch ID. This would be the more affordable of the new iPhones, but it will still probably cost somewhere around $700. Of course, Apple will continue to fill out its lineup by selling last-year’s models, and two-year-old models, too. So you’ll still be able to buy the iPhone 7 and 7 Plus, along with the 8 and 8 Plus, all at reduced prices. The iPhone SE may get a small spec bump, too, but nothing more. If we’re being honest, Siri needs work. It’s in a distant third behind Google Assistant and Alexa. It doesn’t understand our speech as accurately. It doesn’t give us useful answers. It doesn’t integrate with as many other services and smart home appliances. 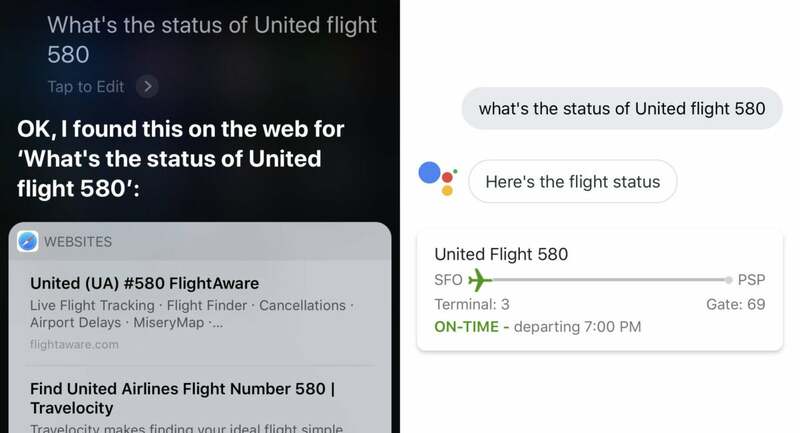 Just one example: if I ask for the status of United flight 580 (a textbook AI-assistant type of task), Siri performs a web search while Google gives me an answer. Siri (left) can’t give a straightforward answer to many of the questions we’d expect an AI assistant to help with. Google Assistant (right) can. It seems like Apple took its eye off the ball with Siri for a couple years, perhaps not realizing how much its competitors were investing in AI assistants and how quickly its lead in that area would vanish. What was once a competitive advantage has become a sore spot. But Apple doesn’t iterate in public like some other companies do. We’ve got a sneaking suspicion that the company has been hard at work on major advances for Siri, the development of which recently changed hands from Eddy Cue’s team (Internet services like Apple Pay and Maps) to Craig Federighi’s (macOS, iOS). Unfortunately, we’ll probably have to wait for iOS 12 to be unveiled at WWDC in the summer to see what Apple has in store for Siri. But we have a feeling it’s going to be big. It had better be! Apple’s betting big on augmented reality. The AR capabilities of the latest iPhones are industry-leading, and ARKit was a really big first step toward enabling developers. I view AR as profound. Not today, not the app you’ll see on the App Store today, but what it will be, what it can be, I think it’s profound, and I think Apple is in a really unique position to lead in this area. So yeah, expect lots more AR stuff in 2018. It’s probably too early to expect a standalone AR headset (we wouldn’t put it past Apple for 2019, however). But augmented reality will be a major selling point of new iPhones and of iOS 12. It wouldn’t shock me in the slightest to see AR built into Apple Maps, the editing tools in Photos and iMovie, even AR stickers in iMessage. 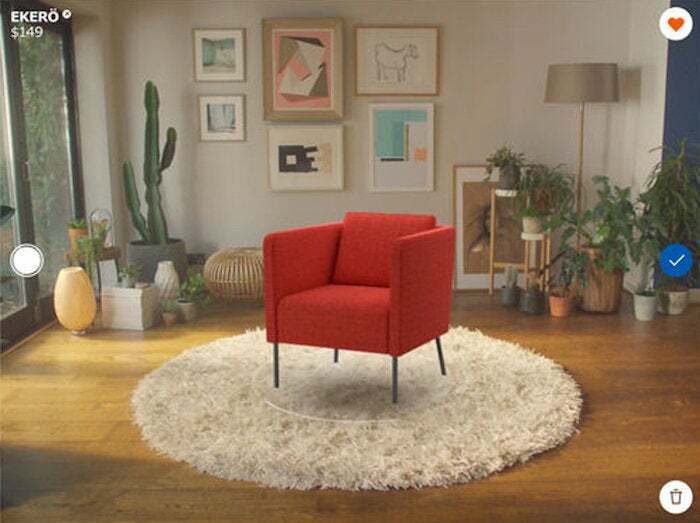 Virtually placing IKEA chairs is just the tip of the iceberg. AR will get more advanced, and more useful, in 2018. Meanwhile, ARKit will surely become far more advanced for developers, enabling new features like vertical surface scanning, and ushering in a whole new wave of apps. This will be enabled, in part, by new machine learning advances and further breakthroughs in AI. Apple invests deeply in machine learning and leans on it for everything from improving the photos we take, to making Siri sound more natural, to measuring our workouts with the Apple Watch. It’s a fundamental, yet often unseen, aspect of so much of Apple’s software. Expect to hear a lot more in the coming year about how AI and machine learning is transforming Apple’s software. All the way back in April, Apple admitted that the “trash can” design of the Mac Pro was a mistake. It made the product hard for the company to update frequently enough, and nearly impossible for users to upgrade or service themselves. It said a new Mac Pro is on the way with a “completely rethought” modular design. Oh, and new Apple Pro displays are coming with them. Well, 2018 is the year. It just has to be. If the whole year comes and goes without a big new Mac Pro reveal, Apple’s going to make a lot of its most important customers really upset. Besides, the company has apparently had top talent working on this product for some time. If not this year, when? 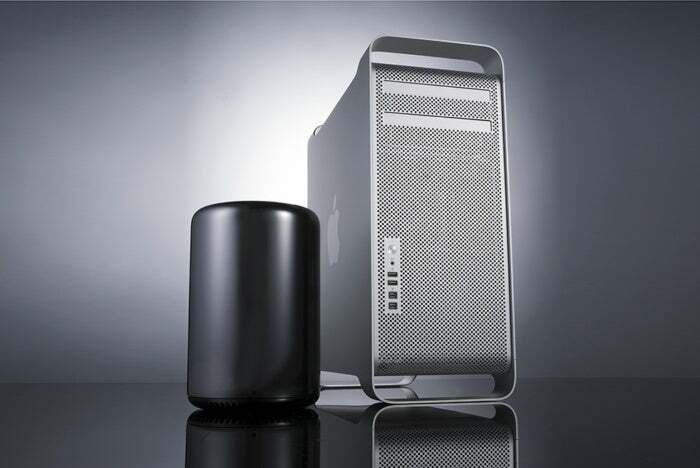 We don't know what the Mac Pro will look like, but it will probably fall somewhere in between Apple's last two designs. I’ve got no idea what a new Mac Pro would look like, but I suspect a more traditional tower (perhaps a “compact” tower) is likely. That’s the best way to manage the thermals of a wide variety of modular components and to let users upgrade drives, ram, even graphics cards. It’ll probably have a whole lot of high-speed I/O ports (Apple has always considered that a core Pro requirement) and if I had to guess, whisper-quiet operation is going to be a selling point. It will also be expensive, utilizing workstation-class processors like Intel Xeons and workstation graphics cards. While I don’t think it’s likely, how cool would it be for Apple to offer system based on the next-generation Ryzen (or Threadripper) CPUs from AMD? Apple’s not quite on the same cadence with macOS as it is with iOS. It’s just where their customers are. Still, a new version of macOS gets announced every year at WWDC in June, and released later in the year. MacOS High Sierra (10.13) was somewhat of a “maintenance release,” adding only a few new features but mostly focusing on stability, performance, and under-the-hood upgrades like the Apple File System (APFS). There will probably be a macOS 10.14 in 2018, but we don’t expect a major, feature-packed facelift. Like High Sierra, 10.14 will probably focus on a few core technologies and a small handful of comparatively minor new features, with major design changes landing in 2019. That said, we do have a few items on our wishlist for a new version of macOS. The split-view multitasking on iPads is pretty great, and would be a boon to laptop users (who often work full-screen). It’s less necessary on big 27-inch iMacs, but the Mac market leans heavily toward the laptop side. The new Control Center in iOS 11, with a series of simple user-selectable controls, would be welcome on macOS. It has been suggested that it replace the dated, and not very useful, Apple menu on the status bar. I think that’s a great idea. Of course, Control Center on the Mac would have a different set of controls and customization options than on iOS, and an API for developers to allow optional Control Center functions wouldn’t be a bad idea. Finally, we really hope iTunes is getting a big overhaul. Removing apps in 12.7 was the first step, but it needs much further refinement. I’d love to see video watching, organization, and purchasing in one app (the “TV” app from iOS needs a macOS counterpart) and all the music stuff in another. A recent report from Bloomberg suggested that Apple is planning a single, unified app development system for iOS and macOS. Starting as early as next year, software developers will be able to design a single application that works with a touchscreen or mouse and trackpad depending on whether it’s running on the iPhone and iPad operating system or on Mac hardware, according to people familiar with the matter. It's even got an internal codename: Marzipan. Color me skeptical. The whole "write once, run anywhere" dream has been attempted many times in computer science, and it never really plays out. Besides, macOS and iOS are just too different. iOS has no concept of a mouse, macOS always assumes a pointer of some sort. iOS has supported multitouch as a core concept from the beginning, but Apple has been clear that it does not intend to bring touch to Macs (and the trackpad is no real substitute). That said, I wouldn't be at all surprised if Apple is working on bringing together the macOS and iOS App Stores, and giving developers a new toolkit and suite of APIs that make developing cross-compatible apps much easier. Apple could easily unify many aspects of app development, leaving developers to worry primarily about how to deal with different interaction models and variable window sizes. It could quite simply unify the macOS and iOS app stores, allowing users to "buy once and run anywhere." This wouldn't mean that every iOS app would run on macOS, but at least when a developer does make an app available across multiple platforms, we wouldn't have to buy it twice. That's a big win for everyone. There could even be shared iCloud configuration and save space for apps, so that your app preferences, game saves, and configurations would sync between iOS and macOS versions. It's a big undertaking, but it's exactly the kind of thing Apple's ecosystem needs. Apple's the only company left with a very popular mobile platform and a PC platform that sells tens of millions of units a year to consumers around the world (Chromebooks are primarily big in K-12 education in the U.S.) Overlapping iOS and macOS apps, to the degree that it makes sense and is technically feasible, could be a big win. 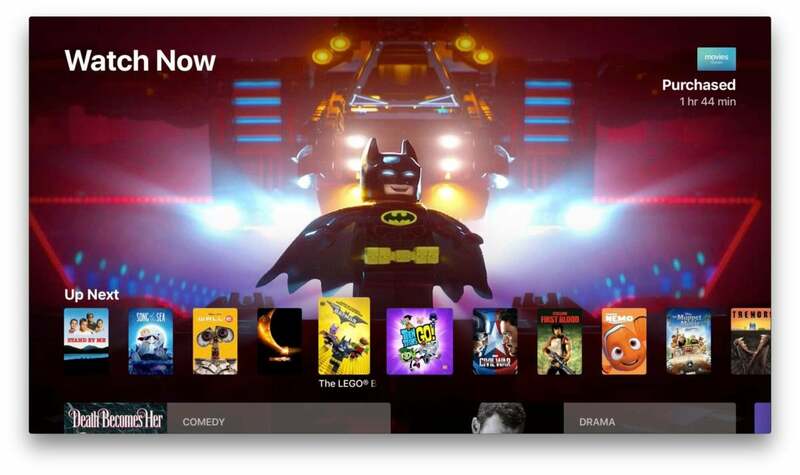 Speaking of TV shows, Apple’s going big into its own original content. It’s going to spend $1 billion on its own TV shows, including a $5 million-per-episode revival of Spielberg’s Amazing Stories. We’ll just start to see the first of these efforts in 2018, but it’s not going to be Apple’s “big TV year.” It takes plenty of time to develop, shoot, and edit a big TV series. Apple will be busy with all of that in 2018, with the bulk of the shows premiering in 2019. Apple's moving into TV, but 2018 won't be the the big year for it.